Do you have a special tool in the kitchen that you just love? I think this The Best Premium Zester Grater is one of my favorites. I use it a lot in my cooking. I love to cook and make most of my meals from scratch. So using The Best Premium Zester Grater helps give my food lots of flavor. 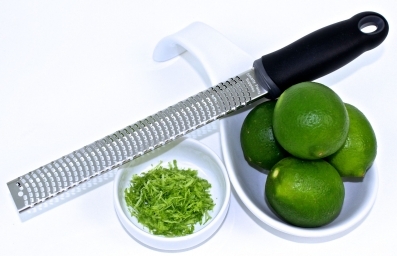 I use it to grate lemon, lime and orange zest to add either to a savory or sweet dish. It works good with fresh ginger to add to some of my Asian meals. Christmas morning I grated chocolate over the whip cream on our hot chocolate. It looked like it came from a restaurant. The list of ways of using it goes on and on. It is sharp and has a stainless steel blade so it makes it effortless to grate cheese or chocolate. It is easy to clean and can go through the dishwasher. It has a thick handle with a comfortable grip. The blade is strong and extra long. If you are looking for something to take your meals up a notch with how they look and add extra flavor easily The Best Premium Zester Grater is for you! You can purchase it on the link below from Amazon.com. Like everyone else at this time of year I take a look at myself and say Kay you need to make some changes. So this year I am going to be more healthy. I am going to lose weight, do things that make me smile, exercise and just take some time for me. I am not going to let myself get stressed out or worry about things I have no control over. I know this is easy for me to say but I am going to do my best and try to improve me. What does that mean for my readers? To start with I am going to commit to at least one story a week regarding health, food, diet, green or doing something nice for someone. I am going to share pictures of my healthy meals and of things I find along the way that you would find helpful. I am hoping to be inspired and to inspire anyone who desires to live a healthier lifestyle along with me. I would love if you would share your helpful and healthy tips with me in the comments below. I am always looking for new recipes and snack ideas too! I am so blessed to have the readers I have and look forward to 2015 and making a few improvements! Game On! 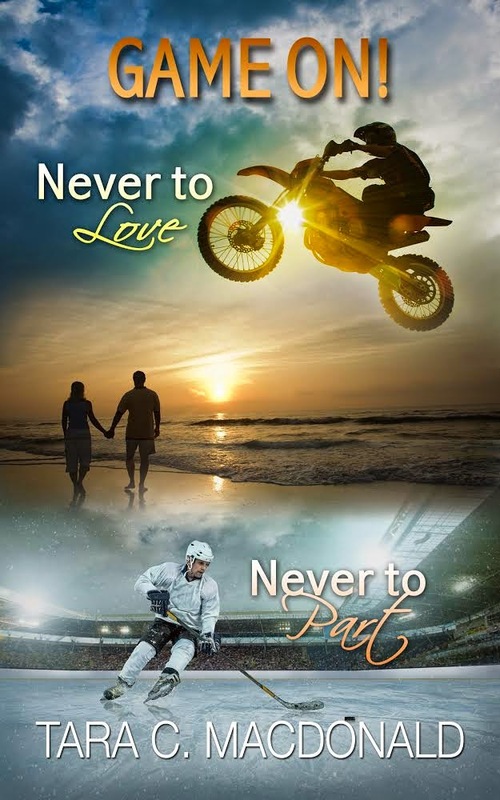 Never to Part and Never to Love is an ebook with two short stories. Never to Part features Ryan almost getting run over by Sam at a bar one night. They see each other again as Ryan’s hockey team is hiring her marketing firm in Halifax, Nova Scotia, Canada. What can these two confused overachievers do when love strikes. Never to Love brings us to Halifax again where James and Sarah bump heads in a business deal to help out his motocross sponsorship prospects. Will they be able to put business aside and commit to their passions? Author Tara C. MacDonald holds a B.A. 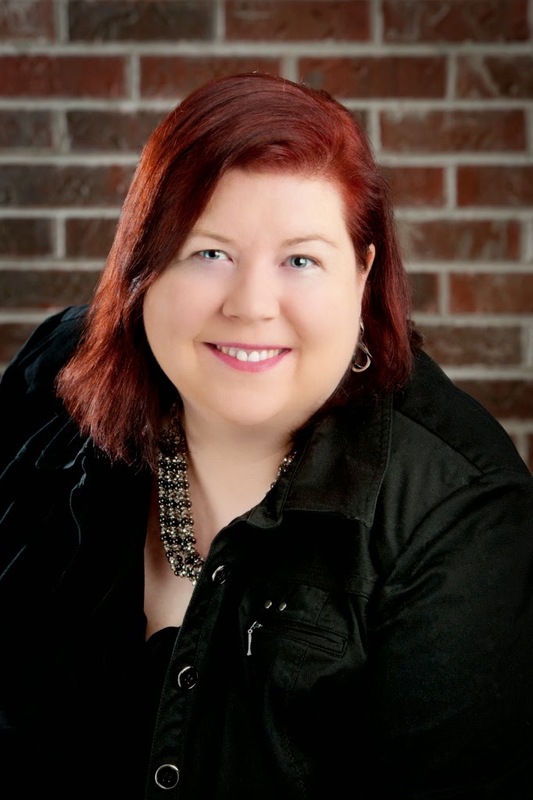 English Literature from Trent University and has been a member of Romance Writers of America since 2008. 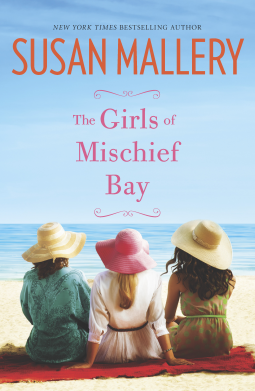 Other writing groups such as Scribe Wenches, Romance Writers of Nova Scotia and other RWA chapters have helped her learn her craft. She believes in the hope that romance can bring and reads avidly. Her first published work was as a Co-Author in a non-fiction book called “Succeeding Through Doubt, Fear & Crisis” August 2014 with the eWomenNetwork publishing program. I can’t believe Wednesday is New Year’s Eve. This past year has gone by so fast. One of my resolutions this coming year is to take better care of me. I wash my face in the morning and the evening but many times that is it. I have started using Hyaluronic Acid Serum. I like that it is clear and that my skin soaks up the serum. 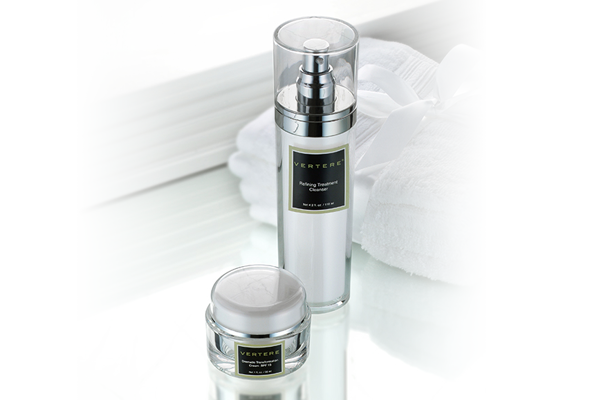 It is packed with Hyaluronic Acid Serum, vitamin C and E. It can be used daily and by all skin types. What I like best is that it helps make my skin appear smoother by stimulating the skins rate of exfoliation. It also helps protect your skin from the harmful rays of the sun, pollution and cigarette smoke. Even though it is not as cold here as it is back home in Wisconsin my skin still gets dry. 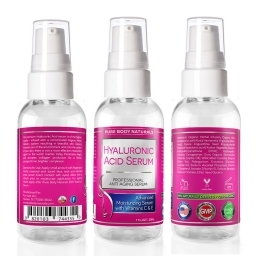 Hyaluronic Acid Serum help plump and hydrate my dry dull skin. Hyaluronic Acid Serum is made in the USA in a FDA certified facility. It is paraben free and uses quality organic and natural ingredients. If you would like to purchase Hyaluronic Acid Serum to try for yourself you can find it on the link below from Amazon.com. Come join Naturally Frugalicious in this Wine with Me Giveaway Event & Sponsored Blogger Opportunity. If you blog about wine or enjoy wine, this fabulous blogger opp – with a never seen before prize pack – may just be perfect for you! 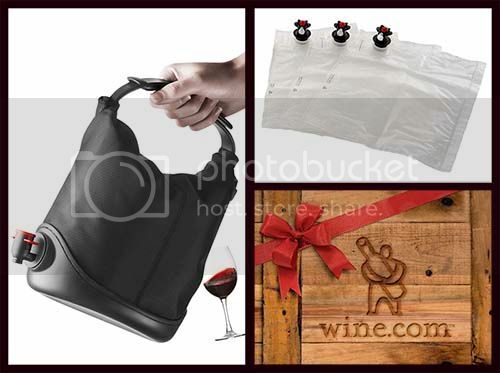 The Wine with Me Giveaway Prize Pack includes: a Black Menu Baggy Winecoat, 3 Disposable Beverage Bags for the Baggy Winecoat and a $100 gift card to Wine.com – $169 value. If the total amount of sponsored host/co-host spots and giveaway links exceed $100, we will add another winner of a Wine.com gift card winner in an amount to be determined by the final sponsored amount. 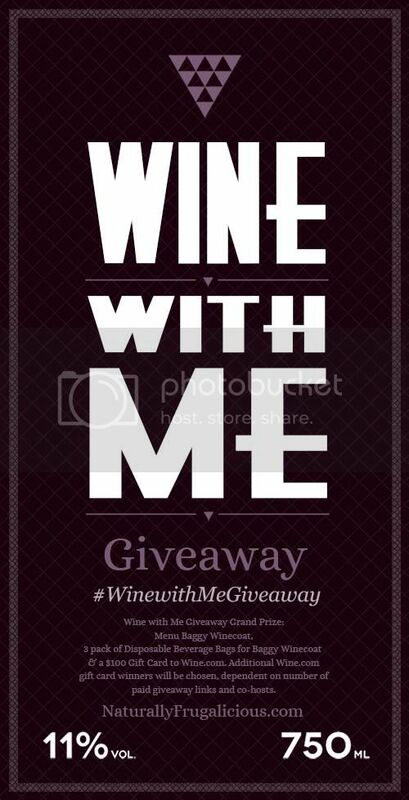 I think this sounds like a great giveaway – I do enjoy drinking wine. If you do too you may want to join this Bloggers Op or come back Jan 3 to enter. Sign-ups to participate will end Monday, December 29th at 11:59pm EST. The giveaway will begin at 12:00pm EST on Sunday, January 3, 2015 and run through 11:59pm EST on Monday, February 1, 2015 and will be open to US residents, 21+ only. Blogger participation opportunities include host spots, co-host spots, follow pages and social media links. With such a great prize pack and the commitment from each participating blogger to regularly promote this event, you can expect your website to see increased traffic and your followers to increase as well. Be sure to sign up now, as spots are filling up quickly! 1 (one) FREE social media link with Announcement Post – your choice of link. Social media links are $6 for 2 links. Each additional link is $2. Would you like to join us in the Wine with Me Giveaway? Grab the Wine with Me Giveaway Blogger Opp HTML and publish the announcement post on your blog. Complete and submit the Sign-Up Form. << Click to sign up. Spots are filling quickly!! Promote this giveaway blogger opportunity on your social media channels between now and December 29th. Aiming for at least 3 shares per week on two social media channels would be fabulous and much appreciated. The more promotion, the larger the potential is for multiple winners and participants – equally a grand giveaway. to your address book/safe list (so we don’t get caught in spam filters) and keep an eye out for more information closer to January 2nd about the giveaway post. Why NoFollow Backlinks? Simply stated, this is for your protection (and ours). It keeps us (and you) from passing on potentially poor quality (or spammy) link juice, while keeping Google from penalizing everyone concerned. Do you make the same resolutions every year? This year I am calling them New Years Goals. I am setting my goals to lose weight and take better care of myself. I have over the years always had the same resolutions and by the 3rd or 4th week of January I give them up. I think what I need to succeed are the right tools. Below are the top 4 popular resolutions with some great ways to help achieve them. Are yours the same as mine? 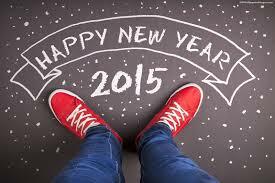 What do you plan to do different this year than in the past? What helps you succeed? Co-Hosts Spots Available ~ $10 for 5 links (any that you choose and I mean any! ~ comments, votes, any follows, visits….. only exception is no Google+) PLUS 2 FREE links gives co-hosts 7 links of their choice PLUS a Co-Host page linked to your site and extra follow pages (usually 2 extra follows BUT depends on # of sign ups) Co-Hosts do not have to post announcement but it is greatly appreciated! Are you still working on your last minute gifts or things for your families stockings? I still have a couple things to get on my lunch today. If you are still looking for things to put in the stockings you might want to think about Burt’s Bees products. I got the soap to put in Joey’s stocking. It smells really good ~ I love the citrus smell. Or you may want to get the Body Wash or Shave cream. 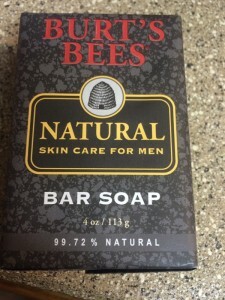 Burt’s Bees Natural Skincare for Men. Nature knows how to treat a man. Chock-full of clean, no-fuss, no-frills natural care products he doesn’t even know he wants but won’t be able to live without. 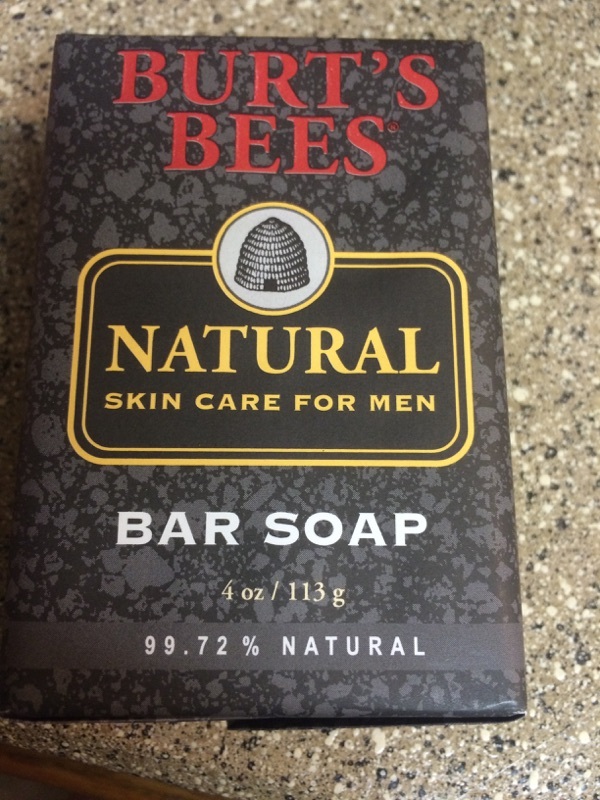 · Natural Skin Care for Men Bar Soap, ($4, burtsbees.com): Intensely clean, our energizing and purifying soap is made from an all-natural vegetable soap base featuring Lemon, Orange and Petitgrain Oils to cleanse plus Rosemary Extract and Fir Oil to revive and invigorate your skin. · Natural Skin Care for Men Body Wash, ($8, burtsbees.com): Sure, chirping birds may work for some guys, but if you want nature’s most invigorating wake-up call for your skin, grab a bottle of our natural body wash.
You can find Burt’s Bees products at many retails nationwide like Walmart and Target.